Mercedes’ W123 series of cars has received many compliments over the years: safe, solid, heirloom car, and so forth. But nobody who’s ever been behind the wheel of a BMW or a Saab turbo would call it sporty. So what to do if you appreciate the qualities of the W123, but find it to be just a bit, well, slow? Well, forget the naturally aspirated diesels, with their two-digit horsepower numbers, and the price-inflated eco-hipster, bio-diesel conversion favorite, the 300D Turbodiesel. 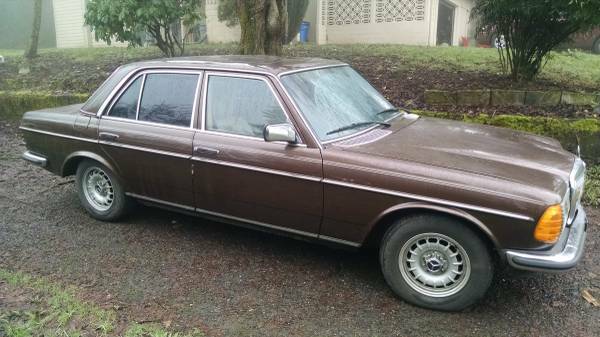 Check out this 1979 Mercedes 280E for sale for $2100 in Vancouver, WA. Compared to cars from other countries, American cars always had the reputation for having excess chrome and being rather flashy. Well, with careful attention, you could spec yourself a good, honest, full-size sedan with very little chrome, to the extent the car almost looks like it’s had an 80s-style monotone paint job. 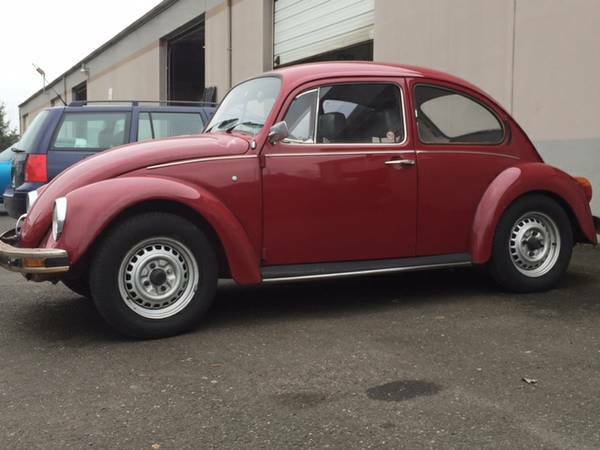 And with a few years’ aging, even the shiny bits aren’t so shiny anymore, leaving you with an understated – okay, maybe there’s just no statement – sedan with space for the family and the power to haul them down the interstate. 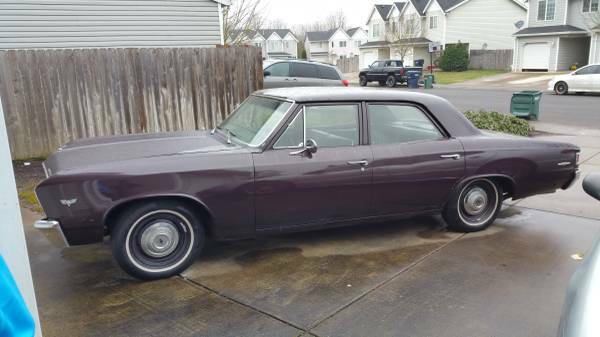 Check out this 1967 Chevrolet Chevelle for sale for $4000 in Portland, OR.